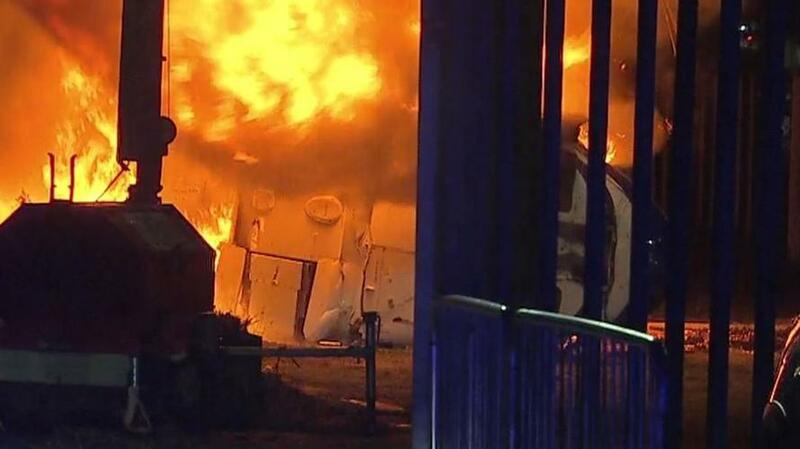 The helicopter belonging to Vichai Srivaddhanaprabha, the Thai billionaire owner of Leicester City Football Club, crashed outside the King Power Stadium in a ball of flames after a Premier League match on Saturday. According to unconfirmed reports the Thai tycoon was on board the helicopter. Sources close to the club later told Reuters that his daughter was also in the helicopter during the crash, along with two pilots and a fifth person. There were no confirmed details on whether anyone on board survived and neither Srivaddhanaprabha’s representatives, nor the police, have yet released an official statement. Multiple videos from the scene show a massive fire at the stadium’s car park and emergency services arriving. The helicopter crashed just yards from the pitch in the club’s car park. 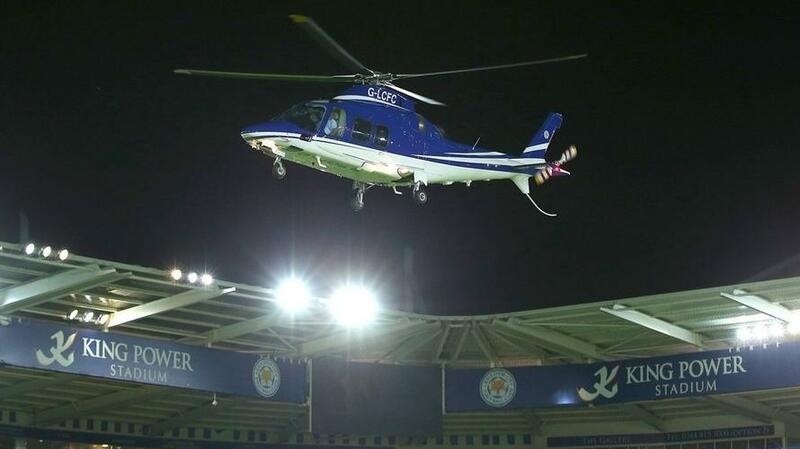 Team manager Claude Puel was not on the helicopter, the source said. According to witnesses, the helicopter just cleared the top of the stadium before it started to spin. It then plummeted to the ground and burst into flames. A Sky Sports News reporter said that witnesses saw the helicopter taking off from the pitch inside the stadium “as it does after every game.” The pilot then apparently lost control of the helicopter. Ben Jacobs, a journalist with BeIN, ESPN and TalkSport, confirmed the Reuters report that Srivaddhanaprabha was on board the helicopter when it crashed into the car park. The King Power Stadium is expected to release a statement later. Vichai, a father of four and the founder of duty-free giant King Power International, is a huge favorite with the fans after he bought the unfancied Leicester City club from central England in 2010 and then went on to stun the soccer world by winning the Premier League title in 2016. Vichai helped steer Leicester back into the top flight in 2014 after pumping millions into the club before it stunned the sport by beating the likes of Manchester United, Liverpool and Chelsea to become champions of England. The self-made businessman Vichai founded Thai duty-free giant King Power in 1989. According to Forbes magazine he is the fifth richest person in Thailand with an estimated net worth of $4.9 billion. The duty-free business got a big boost in 2006 when it was granted an airport monopoly under the government of then prime minister Thaksin Shinawatra, and it continued to prosper even after Thaksin’s ousting in a coup that year.